Please note that the walk this week will not start at the HQ in Caverswall. Please meet at the car park of the Windmill Pub (Meir Heath) at 07:30am. 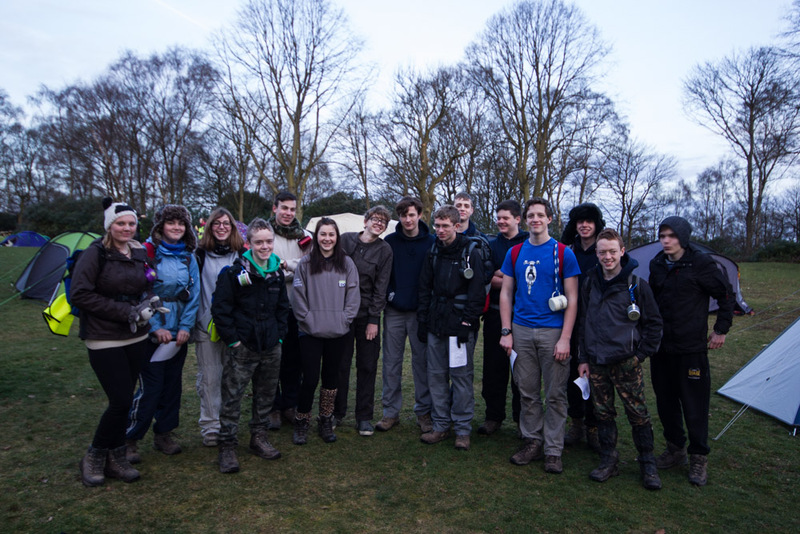 The leaders will then drive the Explorers to Cannock where they will be walking the first half of the actual Chase Walk route. Once complete the Explorers will be brought back to the pub. Explorers will let parents know when they are on their way back, we usually expect to be back by around 16:00. In addition to the kit below please bring with you a change of shoes and something to sit on in the car on the way back. See if you can spot yourself, I have spotted the Wangers coming it at around 4:41 but I cannot spot the other team. All of the walkers this year have done exceptionally well as usual, we once again have won the Rock Trophy which makes that 8 years on the trot. On behalf of myself and the rest of the leaders, well done to you all, you should be very proud of what you have achieved. Just to confirm the arrangements for this weekend, Cliff and I will be at camp between 15:00 and 16:00, please bring with you all of your kit for the walk (including food and boots) plus kit for sleeping. We always do a chip shop run on the Friday night so please bring about £5 for food and you may wish to bring a chair so you have somewhere to sit while you eat. As Meagan mentioned last night, Beaudesert gets cold at night so make sure you have a suitable sleeping bag and bed. Those of you that have taken tents, please make sure you bring them to camp and you arrive at a sensible time to put them up. On Sunday you will need to be collected from camp at 12:00 please make sure your parents/guardians are there at 12:00, no later. Please speak to each other and try and arrange to share lifts. For those of you doing the Chase walk, tonight we will be having a full kit check. The kit list can be found here (page 10), please bring everything you have on the list (including the team kit, excluding food). If you are missing kit then you need to get it by next Tuesday, this is when we will have our final kit check ahead of the walk. The walk this weekend is the first half of the actual Chase Walk route. We will be meeting at the Windmill pub car park in Meir Heath (map below) at 7:45 am, please be on time, we will then drive you to Beaudesert Scout camp which is the starting point for the walk. Make sure you have all the kit I told you to bring last week plus food and drinks. It is very important that you all attend, particularly if you have not done the walk before, part of the function of these next two walks is to familiarise you with the walk route. Also, please can you bring with your your completed health form (link) and your £23 for the actual walk.